Ellen M. Tipping is Of Counsel in the Orange County, California, office of Jackson Lewis P.C. 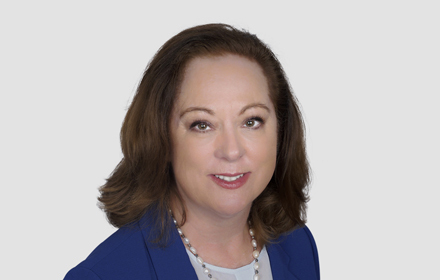 She focuses her practice on providing advice and counsel to management on various employment related issues, and is a member of the firm’s California Advice and Counsel Resource Group. Ms. Tipping advises employers on issues including complying with federal and California requirements for disability accommodation and protected leaves of absence, wage and hour laws, harassment and discrimination complaints, workplace investigations, reductions in force, development of handbooks and policies, review and assistance in developing compensation plans and executive agreements, and discipline and termination questions, and general best practices for employers, particularly in California. In her practice, Ms. Tipping endeavors to help management find solutions to challenges in the work place, in addition to advising on compliance and assessing risks. Prior to joining Jackson Lewis, Ms. Tipping was a partner at a respected defense firm in California and Nevada from October 2009 to July 2018, where she counseled employers on issues including federal and state medical and family leave laws, employee disciplinary matters, disability and accommodation, state and federal wage and hour laws, development of handbooks and policies, and defense of investigations and charges by enforcement agencies. Additionally, Ms. Tipping handled business and commercial litigation of all kinds, with a concentration in employment law and or disputes arising from employment and from executive agreements. Her work included defending employers in wage and hour class actions and PAGA actions, as well as in discrimination, harassment, wrongful termination and retaliation lawsuits in both state and federal court, and defense of investigations and charges by enforcement agencies on the State and Federal level. Throughout her career, Ms. Tipping has provided training to management on a variety of topics, including complaint investigation, disability accommodation, understanding and handling leaves of absence, best hiring practices, progressive discipline and documentation best practices, wage and hour practices, handling reasonable suspicion drug-testing, and year-in-review case and regulatory updates. She also presented a monthly review of employment case developments from the “defense perspective” to the Employment Section of the Orange County Bar Association (2004 and 2005). While attending law school, Ms. Tipping served as a member of the Loyola of Los Angeles Law Review, from 1989 to 1991, including as a senior editor. She was a member of the St. Thomas More Law Honor Society and received the American Jurisprudence Award in Trial Advocacy. Ms. Tipping served as a panel judge for the National Civil Trial Competition sponsored by her alma mater in 2003, 2005 and 2007.